Sometimes it’s hard to determine when your windshield gets chipped or cracked, if you should repair or replace the damaged windshield. No matter where you may live, your windshield is exposed to damage whether it be a rock from the truck in front of you, hail damage, or even a baseball when you are parked at your child’s little league game. I have had minor damage from pebbles, to a full en caved windshield when a limb from a tree fell right on it. Whether it’s minor or major, it’s important to make sure to take care of the damage right away. You can contact your dealerships service department to schedule a replacement or repair right away. Good news is that smaller chips and cracks can usually be repaired by a professional, and if you have comprehensive insurance on your auto policy, they will usually waive your deductible for a repair. Even if you don’t have it, repairs are a lot cheaper than a replacement. If a chip or a crack is smaller than a dollar bill, it is typically safe to do a repair. If the chip or crack is right in the driver’s line of sight however, or if there are multiple chips/cracks, or if the damage is towards the edge of the windshield, most likely it will need to be replaced versus repaired. 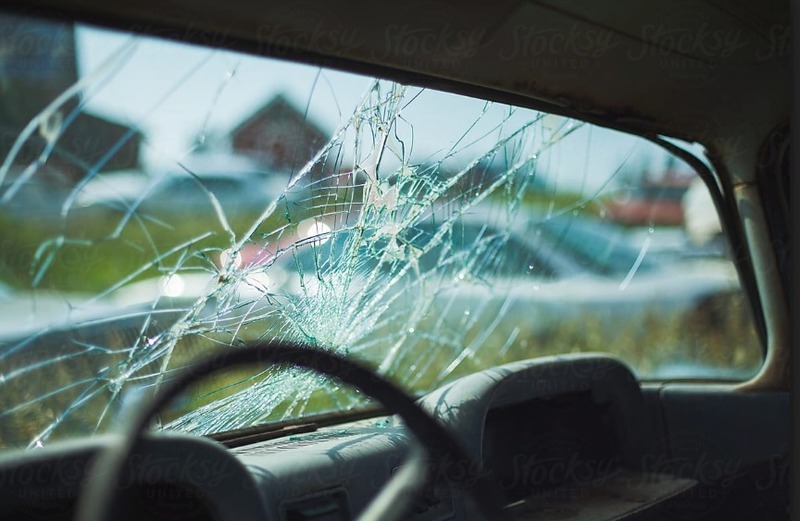 The reason being is that the windshield is actually a very important structural part of most vehicles and contributes to the overall strength of a car – meaning not repairing or replacing a windshield can actually be unsafe. I took a CE class one year for my insurance license that showed us the difference in damages when a car rolled in an accident had a structurally sound windshield and one that didn’t. It was amazing the difference. So it is very important to repair cracks before they grow and your windshield must be completely replaced. (I was also told that original windshields have a higher safety impact than replacement windshields – so definitely repair whenever possible). The repair process works by injecting a special resin in the chipped area. For cracks, holes may be drilled at each end of the crack to help prevent it from spreading. Windshields are actually made of three layers: a layer of resin or polymer is sandwiched between 2 pieces of glass. If your windshield does need repaired make sure to get it done asap! A small chip can spread with weather change, a bumpy road, or even taking a turn too hard. Most states also will give you a ticket if you drive with a cracked windshield.